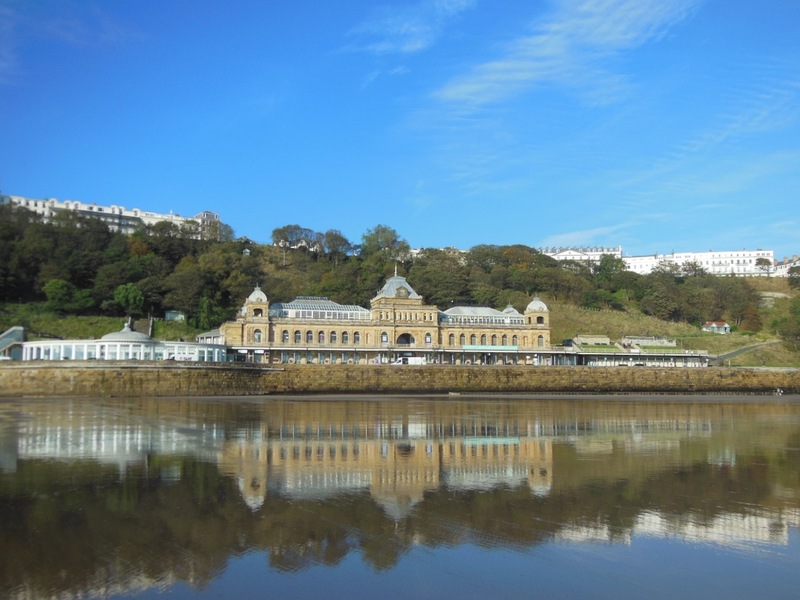 The latest European Bathing Water Quality analysis is available. The international league table is topped by Luxembourg, however on further analysis of the coastal water league table it is topped by Slovenia. The UK is unfortunately towards the bottom. To see the PDF of this document please click European bathing water quality in 2016. 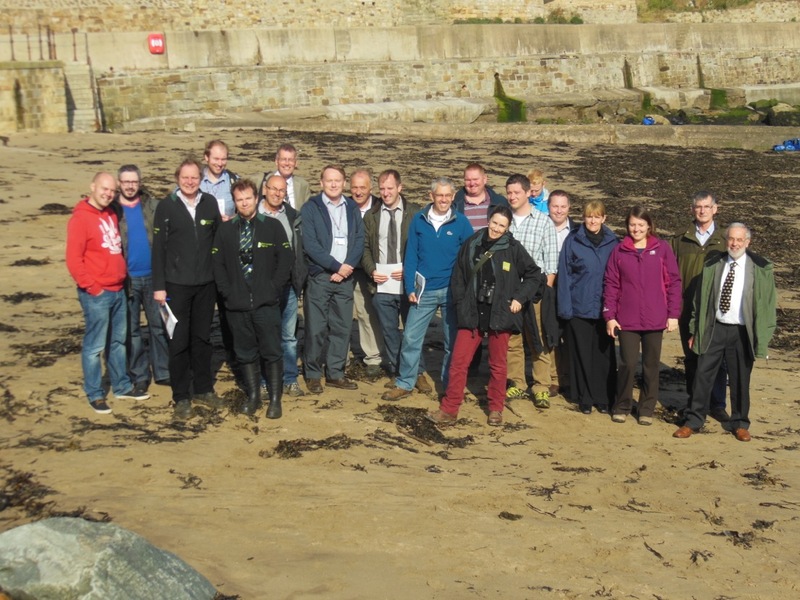 On a pleasant day on October 7th members arrived in Scarborough for the 2014 North East Coastal Group AGM. As per tradition, the first day of the meeting focused on visiting coastal projects and related sites of interest. Members boarded the coach and headed to the village of Runswick Bay at the northern extent of the Borough of Scarborough. The village has a long history of slope instability. Local legend has it that a large landslide in 1682 destroyed all but one cottage. No loss of life incurred as all the inhabitants were attending a wake at the surviving property! Members first visited the site of a more recent slope movement that occurred adjacent to the main access road to the lower village at the end of the 1990’s. Members viewed the award-winning emergency works that saw the slope stabilised using a system of piles and placement of rock armour to the toe. Members then grouped on the beach to learn of current proposed work to protect the village which will address the ageing sea wall erected in 1901. En route to Whitby, a stop at Sandsend highlighted the issues surrounding the coastal road. A significant scheme adopted by NYCC aims to both stabilise the slope behind the road and address the deteriorating concrete revetment seaward of the road. The proposed option is for a regrading of the slope and installation of trench drains with a concrete stepped revetment. At Whitby the group assembled on West Cliff for a view onto the harbour piers. Both piers are in poor structural condition as a result of loss of inner core material. Should further structural degradation continue, the piers are at great risk of breaching putting hundreds of properties at risk. The group learned of the proposed phased approach to address the issues around the piers and the challenge faced by the LA to reach the contribution required under Partnership Funding. The final destination of the day was Scarborough where members first viewed the Marine Drive works working to full effect with large waves breaking onto the rock armour. Prior to installation of the rock armour and wave return wall the overtopping of waves presented a huge risk to pedestrians and vehicular access was often restricted during storms. Today the road is rarely closed and the popular route for pedestrians has been made safe. The installation of piles to the toe of the rock armour successfully halted movement identified in the monitoring of the coastal slope. The last stop of the day was at the site of the proposed coastal defence works at Scarborough Spa. The risks there are very similar to those presented at Marine Drive prior to the works. The coastal slope is over steepened and detailed ground modelling and stability analysis identifies that the cliffs currently have a factor of safety of around 1.0, which indicates the slopes are close to failure. Furthermore, the Victorian sea defence is reaching the end of it’s serviceable life and is frequently overtopped when the sea is rough posing a significant risk to the public. The group learned of the important linkage that exists between the sea defence and the cliff; the sea wall playing a key role in the stability of the cliff behind and the cliff having the capability to overrun, displace or destroy the sea wall which would lead to further coastal erosion and cliff recession. The 8th October saw the group gather again at the Spa for the AGM. The meeting was well attended and aside from the general business of the day (meeting minutes will follow) a variety of guest speakers including Forewind (Dogger Bank Offshore Wind Farm Proposals) and York Potash presented their projects along the coast. In addition, Quirijn Lodder of the Dutch Ministry of Infrastructure and the Environment gave an interesting and informative presentation on the Dutch Coastal Nourishment Programme. The group learned much from the presentation and it is always of benefit to know how flood and coastal erosion risk management is practiced elsewhere. The group would again like to thank Quirijn for taking the time to attend and present at our meeting.